More than just an idyllic sleepy town located around 100km from Johor Bahru, Batu Pahat is also known for some of its affordably-priced local food varieties. This includes the likes of dry wantan mee, Hainanese chicken rice, asam pedas and good old-fashioned cendol dessert. Keep reading below and check out these 10 food worth trying in Batu Pahat. Most of us — particularly the KL folks — have grown accustomed to enjoying dry wantan mee tossed in black soy sauce. But you wouldn’t find such a typical serving style in Chop See Kee or better known by the locals as Ah See Wan Tan Mee. Instead, their sauce is lighter in colour that comes with a fragrant taste of lard and a hint of sesame oil. But the real deal is their homemade thick egg noodles, which has a distinctly springy taste. Not to forget is their succulent, yet meaty wantan which is handmade freshly on a daily basis. Craving for a plate of chicken rice? 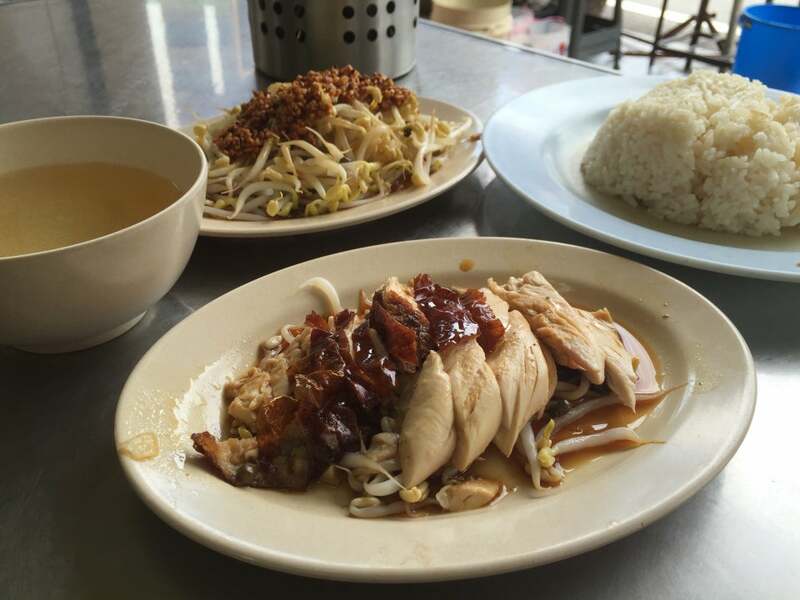 You might want to head to Wiwi Chicken Rice in Jalan Setia Jaya Utama, which specialises in serving Hainanese beansprout chicken rice. You can also try the rest of their menu such as char siew (BBQ pork) and siu yuk (roasted pork belly). Prices are equally affordable while the place itself is spacious enough to dine-in comfortably. Here is another recommended shop that serves a good plate of Hainanese chicken rice with beansprouts. Located at the corner lot between Jalan Fatimah and Jalan Rahmat, you can either opt for steamed or roasted chicken varieties. Some of the other foods available include roasted duck, siu yuk and char siew. 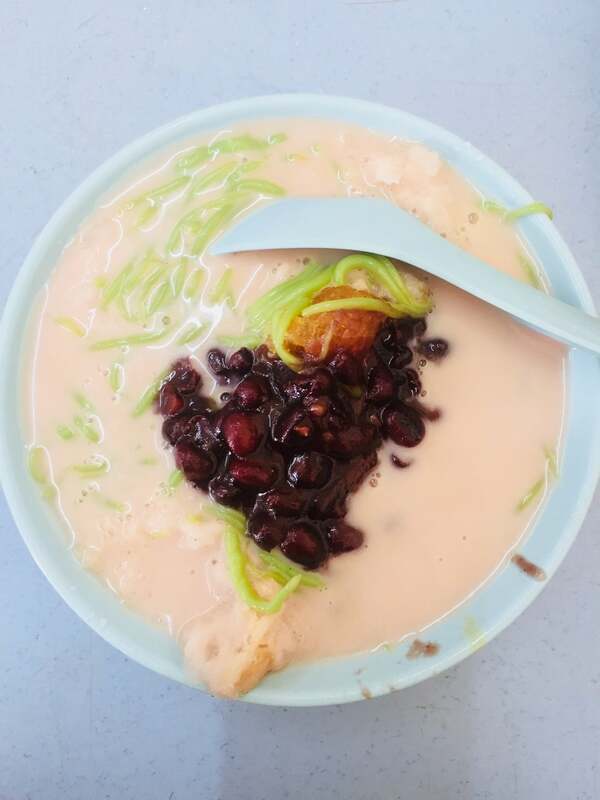 Akbar Cendol is no stranger to most locals who live in Batu Pahat. Their cendol is affordably priced and above all, it tastes great even for the basic variety served with a hearty combination of coconut milk and Gula Melaka (palm sugar). This is largely due to the owner’s insistence of using homemade cendol that contains no artificial colour whatsoever. Instead, what you have here is a naturally-flavoured fragrant cendol where its green colour actually comes from the pandan leaves. Pak ‘O’ Cendol is another popular cendol shop that proves to be a favourite among many locals. You can find a wide range of cendols here ranging from the basic variety to add-ons like kacang (red beans), jagung (sweet corn), pulut (glutinous rice) and even cincau (grass jelly). If that’s not enough, you can even opt for a combination of ABC with cendol mixed together in one bowl. Restoran BP Bariani Power needs no introduction. They are well-known for their signature nasi briyani dishes served with different side dishes. You can opt for the set or choose à la carte dishes such as chicken, beef, mutton and ayam masak merah (spicy tomato red chicken). While you’re at it, don’t forget to cool it off with a glass of “Sirap Bandung Power”. Unlike your average sirap bandung variety, the BP Bariani Power’s version is a concoction of rose syrup mixed with evaporated milk and fizzy ice-cream soda. Looking for a hearty breakfast to start your day? You might want to check out Han Kee Cake & Cafe at Jalan Jelawat. They offer a variety of cakes and good ol’ plain nasi lemak but it is their freshly-made sandwich varieties that is worth trying here. Put it this way: how often you get to taste a toasted sandwich filled with fried eggs and otak-otak (grilled fish cake)? If you are not into otak-otak, you can always go for the more conventional sliced ham. Best enjoyed with a cup of freshly-brewed traditional coffee. 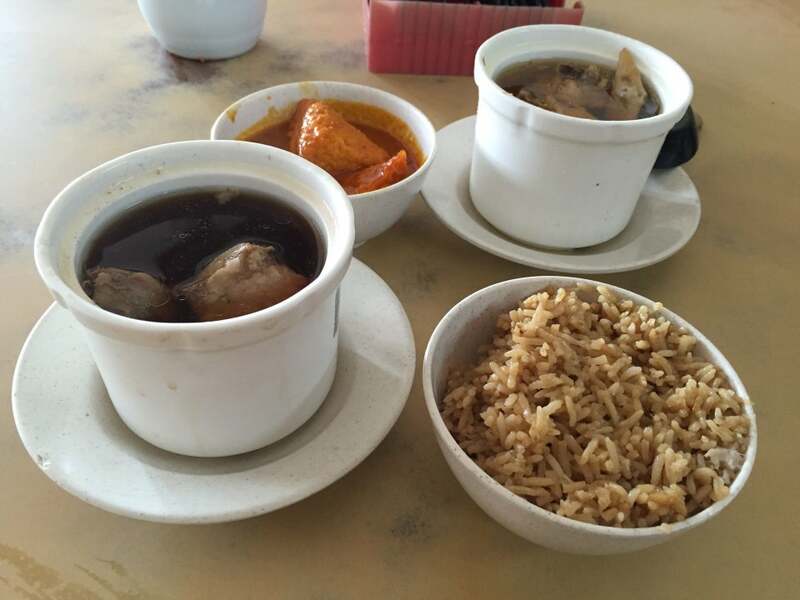 Swee Kee has been around for over 40 years and while they serve various foods like yam rice and curry fish head, it is their signature tonic soups that gained them a loyal following. Each soup is made using the traditional family recipe and steamed for around 3 hours with various herbs and spices. There are few tonic soups you can try here such as black chicken, pork ribs, frog and soft-shelled turtle. This otherwise ordinary-looking shop is famed for its signature asam pedas served with different fish of your choice. You can opt for ikan merah (red snapper), ikan parang (wolf herring) or ikan pari (stingray). The fishes are all freshly prepared upon order and cooked together with the spicy-sour goodness of asam pedas gravy. 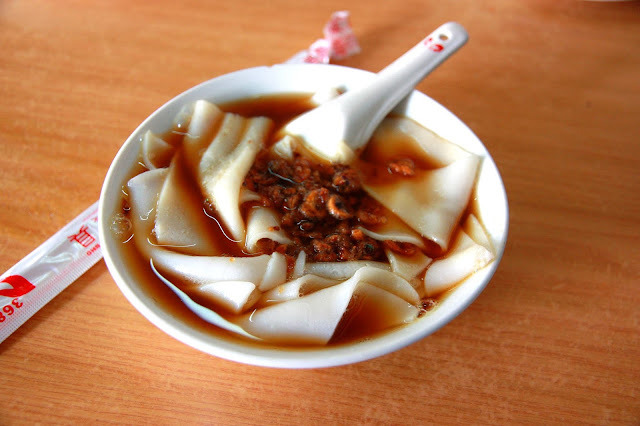 This old-school Chinese kopitiam specialises in Teochew cuisine and one of their well-known food menus is kway chap (flat rice noodles). The kway chap itself is handmade and cooked together in a simmering soy sauce broth with herbs for around 3 hours. You can pair your kway chap with other side dishes such as stewed tofu and mixed pork varieties with marinated eggs.